WHY YOU NEED AN ANIMATED EXPLAINER VIDEO FOR YOUR BUSINESS? Animated explainer videos are a perfect tool. It attracts visitors to your site and telling them about the key benefits and features of your product. According to Nielsen Research, Training and Consulting Group, the average user spends about 10-20 seconds on a site if there is no compelling reason to stay longer. And the first ten seconds are critical for giving the user this reason to stay by clearly setting out your value proposition. Based on these stats, we should accept that text and audio is less effective compared to non-verbal communication. It can influence a rather small percentage of your audience. So, according to “The Top 7 SEO Trends That Will Dominate 2016” by Forbes, it’s time to stop taking video and multimedia as an additional tool of online marketing. It only supplements textual information. Forbes predicts that B2C companies will try and use more video due to its higher reach, engagement, effectiveness and overall ROI compared to text content. It looks like B2B brands will follow the trend in the near future. These predictions focus on statistics proving that both customers and businesses love video. Animation explainer video is perfect for those areas of business where it is difficult to present and to sell a product through other types of video or promotional methods. For example, you develop websites or you’re engaged in contextual advertising. Your explainer video should include information on target customers’ problems, benefits of the company and its workflow, several cases with figures and so on. You have to admit that it’s rather difficult to show traffic growth in the video unless it’s animated. Virtually any information can be visualized with the help of animated explainer videos – and this is its main advantage over real video. Lively animated characters along with eye-catching cartoons, trigger strong emotions and create a very special atmosphere that engages an audience and captures their attention. This adds an emotional component to rational arguments, enhancing the desired effect. It’s easier and more interesting for the audience to keep up with a storyline, when positive feelings are involved and the information presented in the video is more likely to stick in the memory. 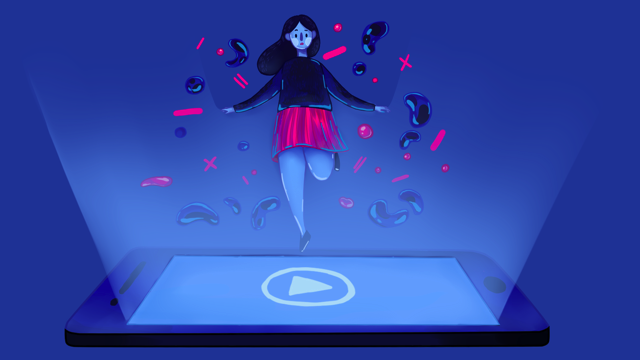 Plus, animated explainer videos are associated with a marketing tool in a less degree than staged video – and that’s why it doesn’t come off as irritating or obtrusive advertising. Work.com project (formerly Rypple), owned by Salesforce and representing a gamification solution for human resource management, placed an animated explainer video on its homepage and got increased conversions by 20%!